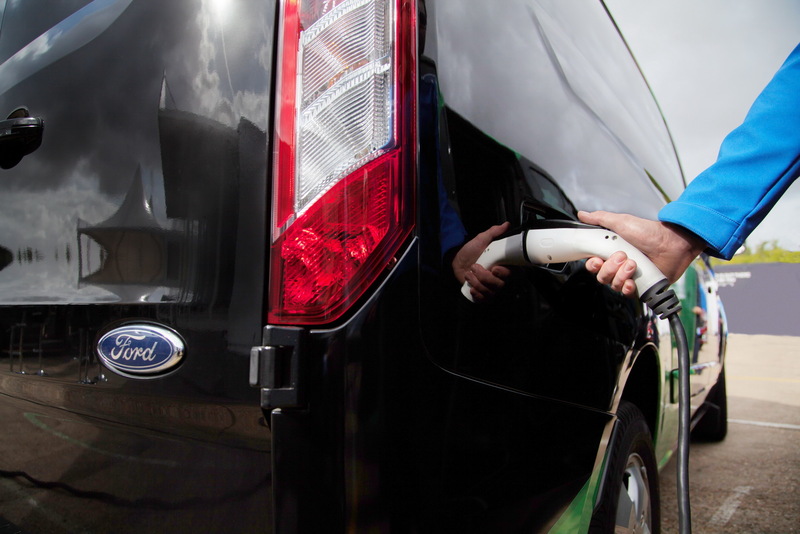 Ford has revealed the plug-in hybrid range extender version of the Transit Custom van which is set to take part in a London trial designed to help improve city air quality. This is the company’s first plug-in hybrid range-extender powertrain and it uses a 1.0-liter EcoBoost engine at its heart as a generator to feed the battery pack. Ford claims that their design gives the Transit Custom a zero-emissions driving range of over 31 miles (50+ km), with the company to trial 20 Transit PHEVs for 12 months in London, starting in late 2017. The total driving range exceeds the 310-mile mark (500km). The trial is being supported by Transport for London, with city-based businesses -including the Metropolitan Police- to integrate the vans into their day-to-day operations. Each one of the 20 cars will be fitted with a special telematics system to collect real-time data to better understand how their benefits could be maximized. 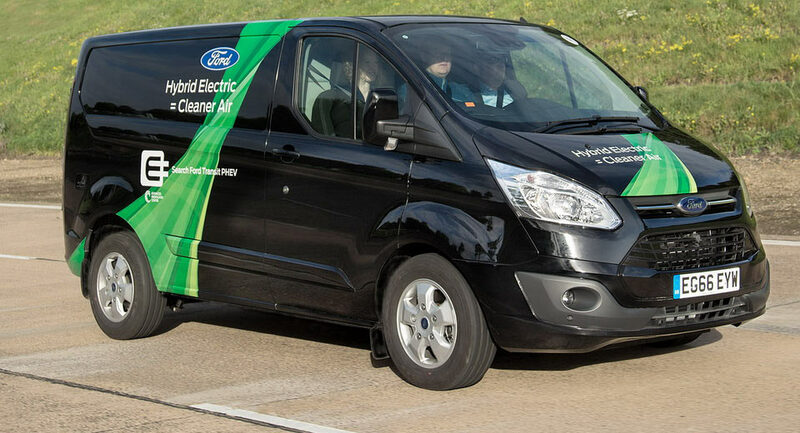 “Seeing the PHEV Transits on the road is an exciting milestone, and we look forward to teaming up with our London partners and customers to explore how these vans can reduce emissions and operator costs in the city,” said Mark Harvey, Director, urban electrified van programme, Ford of Europe. The battery pack is a liquid-cooled lithium-ion design mounted under the load floor, preserving the full cargo volume of the Transit Custom van. Ford plans to put the Transit PHEV into series production in 2019. What's odd is that the image above shows the charging port in the front, but the actual photo of charging is happening at the rear. This 31-mile pack + 1.0 EcoBoost should be what comes to all new PHEV (parallel) models(Escape/Kuga PHEV, Focus PHEV, Fusion/Mondeo PHEV, Explorer PHEV, etc) from Ford and is centrally located with the potential to offer e-AWD as well. Last edited by Bloggin; 09-08-2017 at 12:27 PM. Unlike the Chevy Volt(engine drives wheels under load), the wheels of the Transit Custom PHEV with Range Extender will only be driven from the battery pack(like BMW i3). With the tiny, quiet 1-liter 3-cylinder EcoBoost keeping the battery filled as needed. Which means the tiny EcoBoost engine, smaller than a carry on bag, will be able to run in its most economical mode(not having to actually move the vehicle) with cylinder deactivation best managed by its software, but only when the battery is low. Which means the tiny engine with just about no load may reach the equivalent of 60mpg consistently, which could translate into two full battery charges expanding just 1 gallon or fuel. I think this range extender should also come to the smaller Transit Connect, with a full 200+ mile EV drivetrain for the Transit Courier. I see this as a very good fit for commercial vehicles, with being a less expensive/complicated drivetrain than parallel, where the focus is on clean efficiency rather than performance. However, for consumer vehicles, the parallel system that offers the performance expected of consumer vehicles. Last edited by Bloggin; 09-08-2017 at 12:37 PM. The patent was filed with the United States Patent and Trademark Office on November 30th, 2017. 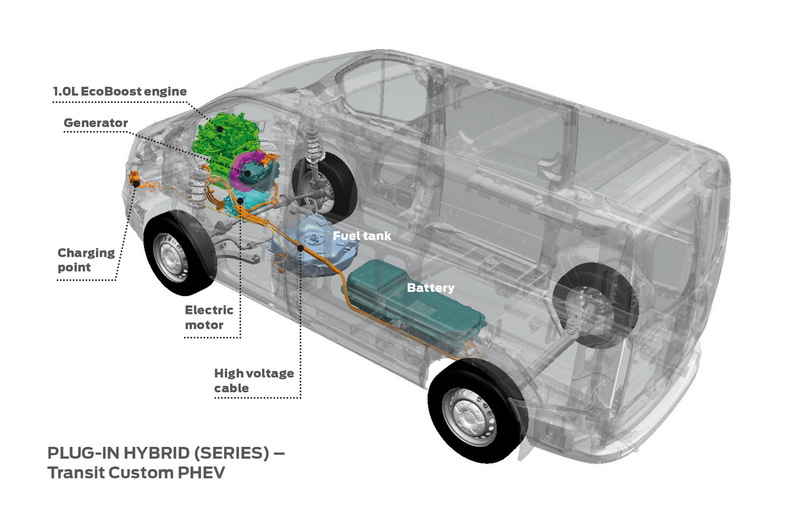 The filing indicates Ford has reserved the name for use on “powertrain systems for land vehicles; propulsion systems for land vehicles, comprised of engines, electric motors, batteries, and transmissions.” It seems as though Ford is interested in calling its future hybrid-equipped models ‘Powerboost’, which could be styled like ‘PowerBoost’ making it relative to the EcoBoost name its turbocharged models bare.